Here in the U.S., we're quite familiar with industrial construction methods. In fact, with a 10% market share, our nation is the second-largest construction market in the world, and concrete is one of the most popular materials for commercial buildings. One of the reasons why commercial concrete is so popular is that it's cost-effective and doesn't require a lot of work. However, that doesn't mean that it's a totally maintenance-free option. Though concrete work is durable, it still needs tending to from time to time. If you follow these tips for concrete maintenance, you may be able to avoid -- or at least lessen the need for -- concrete restoration or repair in the future. Although it may be impossible to keep industrial concrete looking spotless, keeping it clean can go a long way in decreasing wear and tear. Certain debris can cause discoloration or may even become a permanent part of the finish when it's not taken care of. You'll want to remove dirt, debris, and any spilled substances. Sweep the surface regularly. You can spot-clean with consumer-grade cleaning solution and a hose. If there are oil or rust stains on your concrete, you may need to hire a construction company or commercial contractor to power wash the surface and use more effective cleaning solutions. Concrete color and finishes are preserved much better with use of a sealant. Sealant can also protect against damage from foot traffic, vehicle tires, fading from the sun, or harsh winter weather. If your concrete isn't sealed properly, moisture can penetrate the material and will then freeze. When this happens, concrete can expand and crack. Even with proper commercial building maintenance, damage can't always be prevented. But you can keep problems from worsening if you take care of these issues right away. If you notice that your concrete walls or storage facilities are looking dull, cracked, or stained, you can prevent further damage by calling in a qualified construction team quickly. 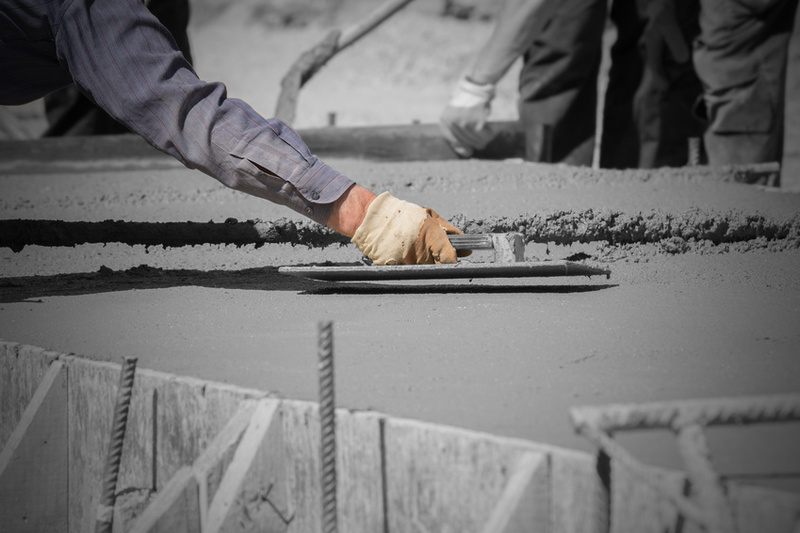 Looking for large scale concrete help in Harrisonburg? We're here for you. Whether you need brand new construction or concrete repairs on an existing structure, we can handle just about any project. Contact us today to find out more or get a quote.